As far as square footage goes, the largest gift in my prize hamper by far was the massive slab of brownie donated by A Taste of Dreams, a family company producing gluten-free, organic, vegan, and dairy-free baked goods in the Old Dairy of the Glynde Estate in Sussex. The Glynde Estate, that sounds like something in a dream, doesn’t it? 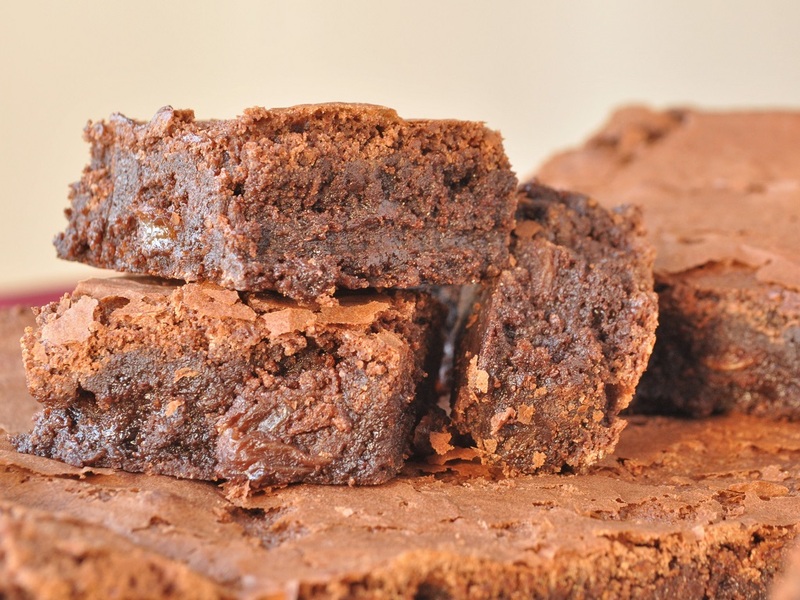 My brownie was one of their gluten-free products, made using ground almonds rather than flour. 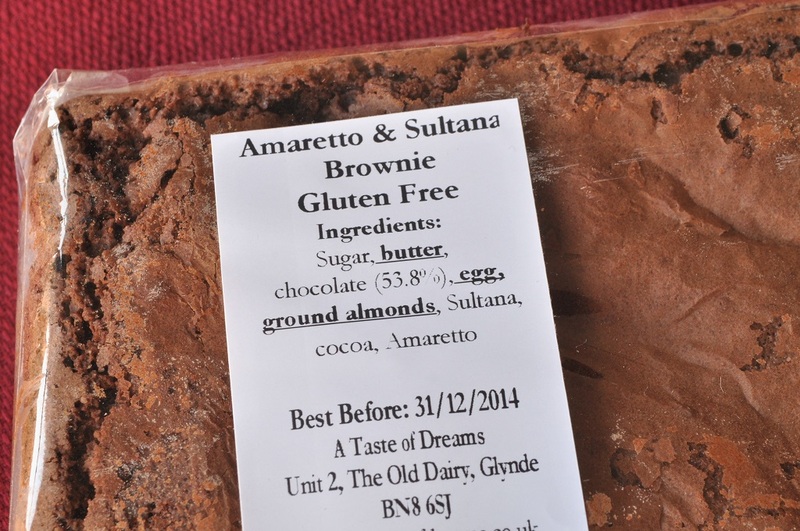 But this was not even just an ordinary gluten-free brownie, it was an amaretto and sultana brownie. It was definitely the most imaginative, grown-up brownie that I have ever tasted. 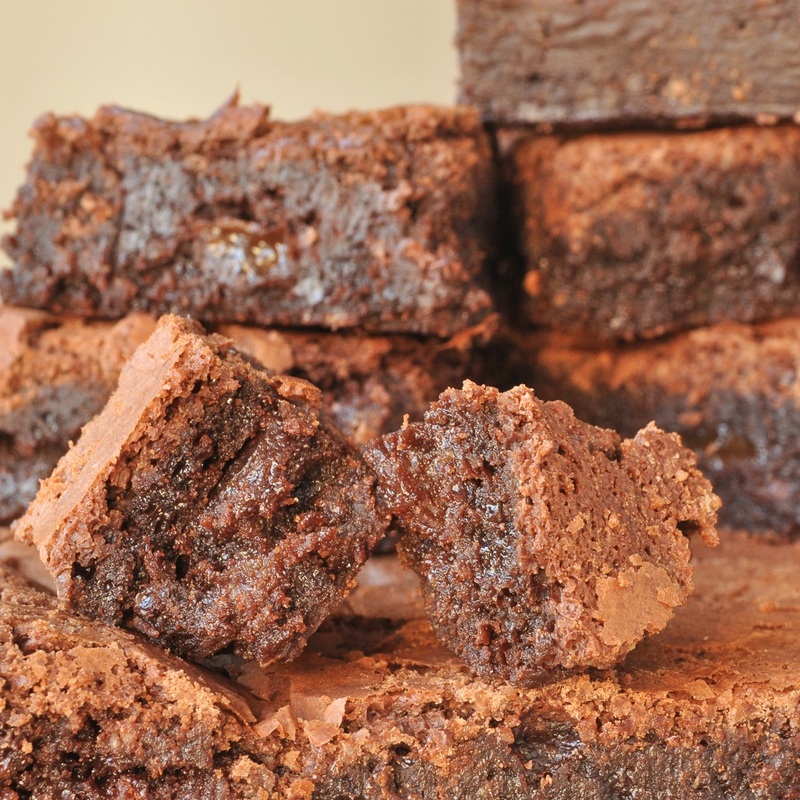 And brownies, I believe, are one of the few products that actually benefit from a gluten-free makeover–the lack of structure contributes to an especially fudgy texture. 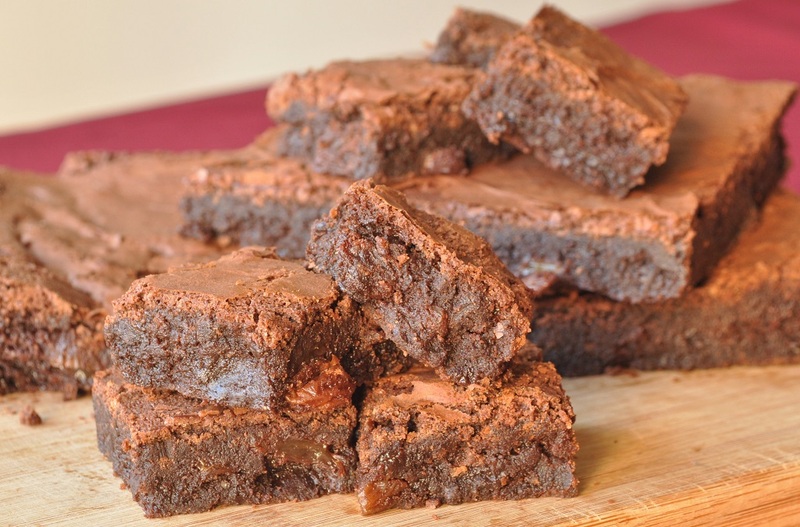 Like the vast majority of the population, I have heard that there are proponents of the cakey brownie, but am not one of them myself, nor have I ever met one. 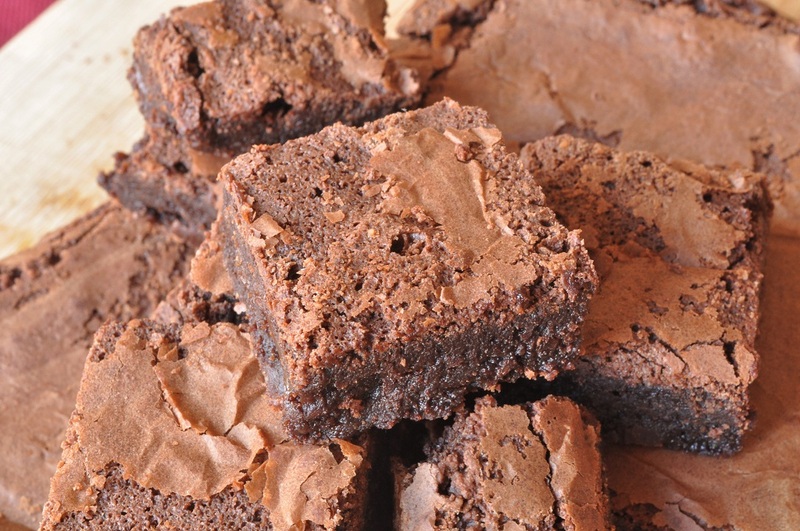 They also achieved the fine, crackly layer on top, which I think is essential to a good brownie. The delicate crunch of the flakes accentuates the fudginess of the rest of the brownie. So, if you have dietary restrictions and are looking for cakes to enjoy, or simply want to try delicious and unique bakes, A Taste of Dreams will supply your needs! To read more about the history of the company, visit Rosemary and Pork Belly’s blog and read their feature on A Taste of Dreams.